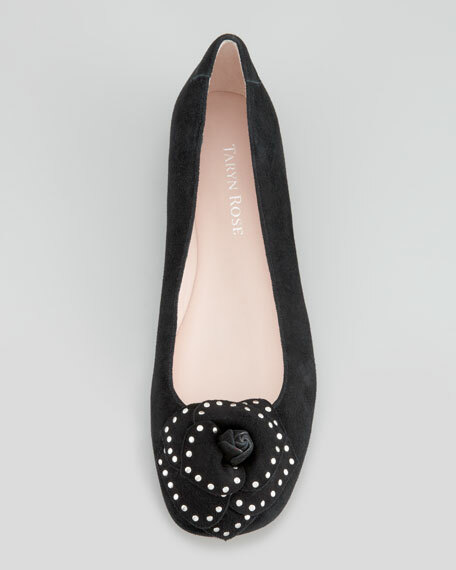 This Taryn Rose ballerina flat is equal parts cute and comfortable with a sweet flower detail and supportive, cushioned insole. Top-quality, natural upper with silver hardware. Studded flower detail atop round toe. Napa leather lining with Poron® cushioned insole. Arch support decreases lower back fatigue. Rubber outsole with rubber rose inset.